Parks n’ Wreck gathers and showcases the Toronto streetdance communities in public, outdoor settings. 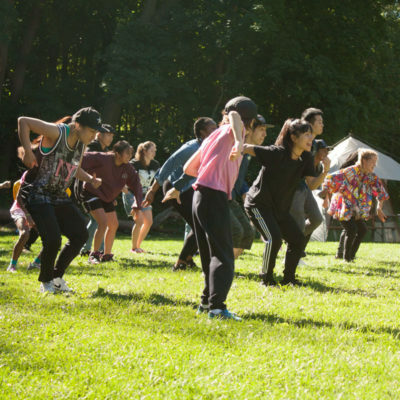 By engaging local neighbourhoods with cultural activities and transforming public space, they enliven local areas and enhance connections to parks and people through music and dance. Parks n’ Wreck believes that engaging local residents with streetdance culture gets people outside and socially connected. Their collective consists of independent artists who have joined in service to the wider Toronto streetdance/urban arts community. They have been part of this community for the past 5-10 years and have contributed to its development by creating platforms for showcasing the culture and have been involved with arts outreach organizations around the city. As an organization Parks n’ Wreck have a longstanding commitment to practice, preserve, and promote streetdance culture.